Newt Gingrich received $400 in donations on this day. Newt Gingrich received $850 in donations on this day. Newt Gingrich received $1,000 in donations on this day. Newt Gingrich received $2,500 in donations on this day. Newt Gingrich returned $4,390 in donations on this day. Newt Gingrich received $250 in donations on this day. Newt Gingrich received $470 in donations on this day. Newt Gingrich received $1,040 in donations on this day. 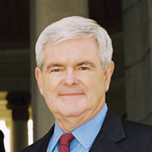 Newt Gingrich received $7,750 in donations on this day. Newt Gingrich received $620 in donations on this day. Newt Gingrich received $940 in donations on this day. Newt Gingrich received $770 in donations on this day. Newt Gingrich received $720 in donations on this day. Newt Gingrich received $1,780 in donations on this day. Newt Gingrich received $3,190 in donations on this day. Newt Gingrich received $750 in donations on this day. Newt Gingrich received $2,950 in donations on this day.